Troyke is changing the degree of accuracy. We manufacture the highest quality rotary tables to the highest standards. Troyke knows service and quality matter, and dependability has an impact on your bottom line. We promise outstanding performance and back that with unsurpassed customer service. Troyke guarantees immediate response which means you experience minimal to zero outages and meet your production goals. The Troyke commitment to quality and accuracy makes purchasing our rotary tables an easy choice; we are the best value. Our customers are pleased to find when compared with other rotary tables, the Troyke Table is the most cost effective choice available. Troyke rotary tables are manufactured in America, to our exacting standards. Our tables are customizable, which means they are made to perfectly match your specifications. With every Troyke precision rotary table comes the guarantee of position feedback angular accuracy. We back our rotary tables with the guarantee of excellence by design and superior customer service. Troyke’s team of qualified technicians can adjust, diagnose and service your Troyke equipment, giving you peace of mind about equipment performance. 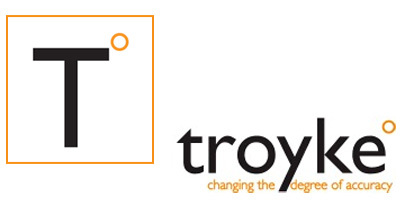 Troyke…changing the degree of accuracy.